I love bright colored doors. 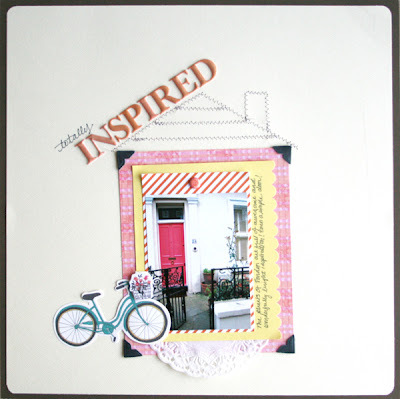 This facade with a pretty pink door totally caught my eye and inspired me to create this scrapbook page. I created the roof with stitches and layered different pattern papers from the SEI Vanilla Sunshine, Promise Me, and Holiday Cheer collections. I love how kitschy the layout turned out. SO fun and CLEVER--GREAt layout!! I love pictures of doors seriously I could do a whole album on just that!